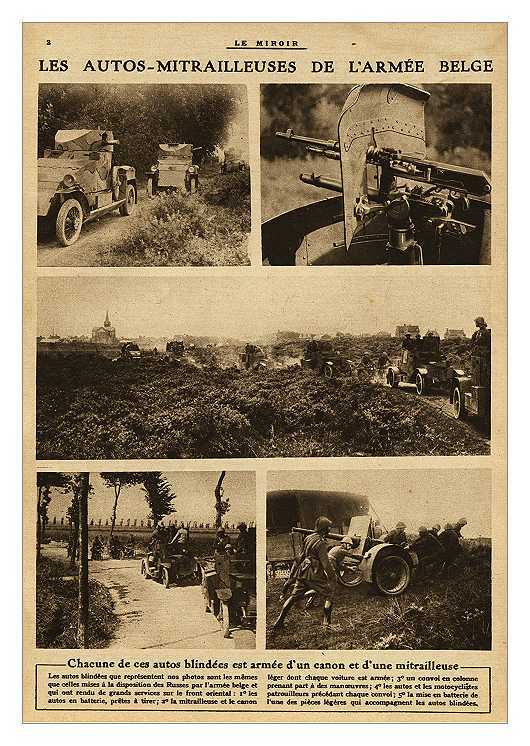 Belgians were the first among Great War combatants to make extensive use of armored cars as a military weapon. During the siege of Antwerp, from mid-August to the first week of October 1914, numerous motor vehicles were stripped and rebuilt with armor plating. Machine guns were mounted and even rotating cupolas were fitted. Most vehicles were (re)built by the Minerva Motor Car Company in Antwerp, though other large industrial metal works and manufacturing firms contributed to the war effort. These armored vehicles were used for reconnaissance, long-distance messaging, and carrying out raids and small-scale engagements. Circumstances dictated that the small, outnumbered Belgian Army use these highly mobile armored cars in guerrilla-style hit-and-run engagements against the besieging German Army. Not only were they quite effective in conducting raids, blowing bridges, and delivering messages to exposed positions, they were extremely photogenic as well, a news editor's dream. The British press, playing up the "Brave Little Belgium" angle in newspapers and magazines, published many photos of Belgian armored cars in and around Antwerp. 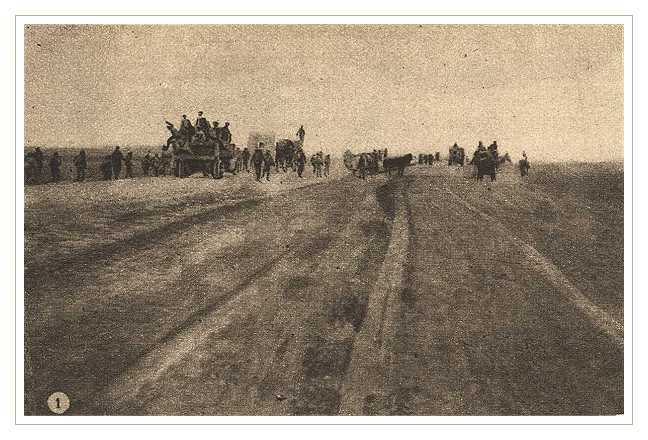 After the fall of Antwerp in October 1914 and the retreat to the Yser, the front line stabilized and since a breakthrough was not forthcoming, there was little use for a highly mobile armored car force. The Russian military attaché to the Belgian armed forces suggested that the armored car force could be of use on the Eastern Front. Following protocol, Czar Nicholas made an official request to King Albert of the Belgians. It was decided to send a force of several hundred Belgians to Russia. Since Belgium and Russia were co-belligerents and not official allies, for legal reasons the Belgian soldiers were to be considered as volunteers in the Russian army. The Belgian force sailed from Brest on September 22nd 1915 and reached Archangel on October 13, 1915. By way of Petrograd, they were sent to Galicia where they mainly saw action against Austrian forces. The Belgian armored cars came to be known as effective machine gun destroyers. They continued fighting after the Russian Revolution until the treaty of Brest-Litovsk was signed. The Belgian armored car force was recalled but had a difficult time returning home. 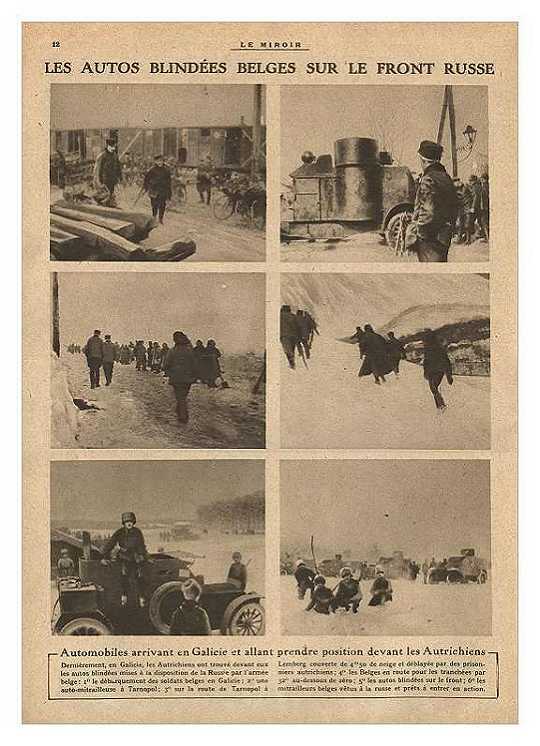 The trip back to Archangel being unfeasible, the Belgians, much like the Czech Legion, followed the Trans-Siberian railway, crossed northern China and ultimately arrived in Vladivostok. 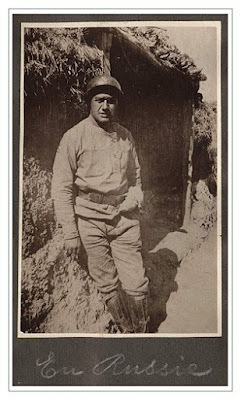 On April 18th, 1918 they boarded an American vessel, the SS Sheridan and sailed to San Francisco. 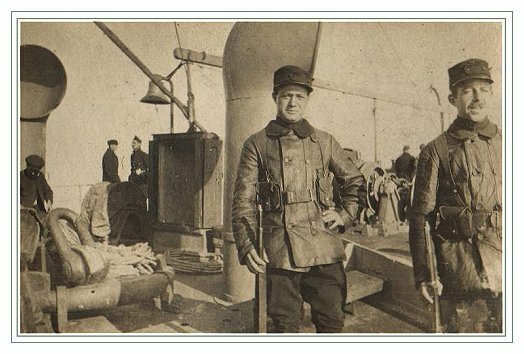 From there they traveled on a much acclaimed and widely publicized trip through the US and sailed from New York on June 15th 1918, finally reaching Paris two weeks later. They were disbanded shortly afterwards. The last member of the Belgian Expeditionary Corps in Russia died in 1992. When it first set sail, the Belgian armored car force numbered 333 Belgians, all volunteers. In Russia 33 Russians joined its ranks. Counting reinforcements and replacements, 444 Belgians passed through the ranks. There were 58 vehicles of which 12 were armored cars plus 23 motor-bicycles and 120 bicycles. 16 Belgians were killed in action in Russia. Only one armored car was lost. It was captured by German forces and is said to have been used in Berlin during the insurrections of 1919. Another fascinating and obscure story (among many, of course) that I never knew about. Ditto to what has already been said. Thanks for the post. 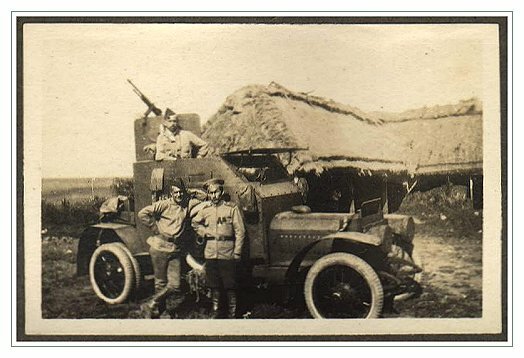 It seems that they only lost one armoured car in action, but did they really manage to escape with them all the way to Vladivostock in 1918? That would have been the longest journey ever made by motor vehicles, and how did they get petrol and parts in the middle of Siberia. A reproduction of a Minerva armored car was in the Brussels Military Museum in 2015.